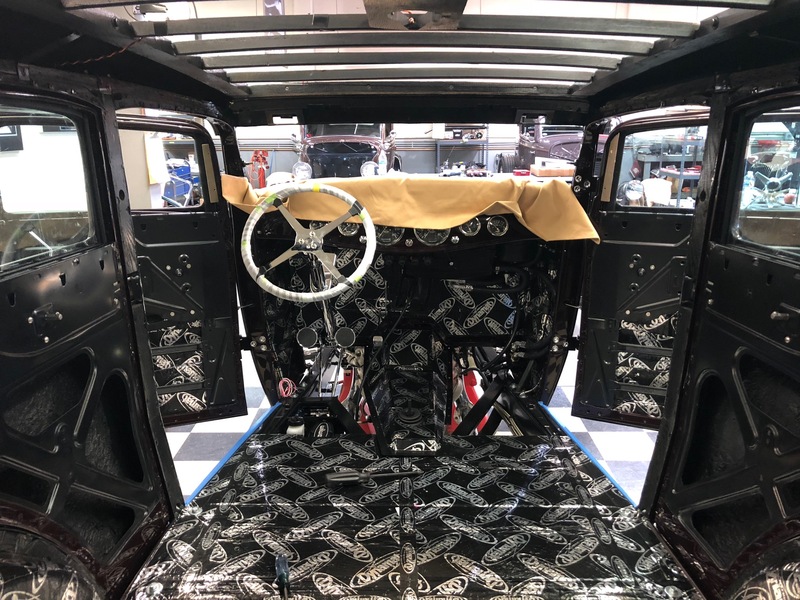 While we were out in California for the Goodguys West Coast Nationals we decided it was the perfect opportunity to extend our stay and visit a few of the shops we work closely with to provide you with an inside look at their facilities and the projects currently underway. 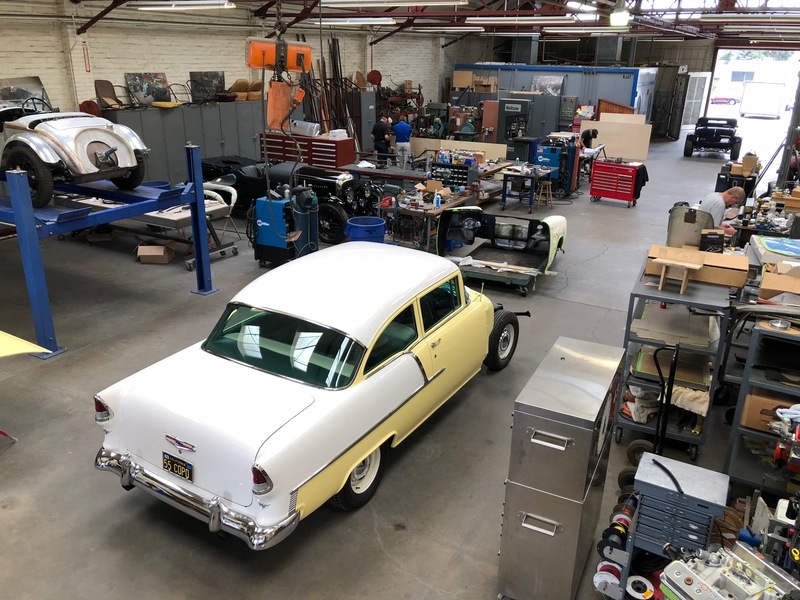 Our first day of shop tours kicked off at none other than the legendary Moal Coachbuilders in Oakland, CA. For those who are not familiar with Moal, to say they are a one of a kind shop doesn’t quite do them justice. 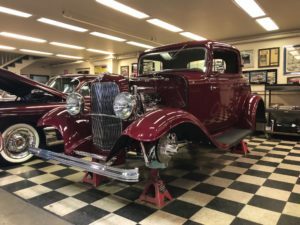 The business was founded at the start of the 20th century by William Moal, a French immigrant who was outfitting hand-crafted bodies and wheels to horse-drawn wagons and later branched out to metal work on race cars and show-worthy speedsters. His son George continued to progress the business with the addition of handcrafted bodies and fenders. Today the business is run by Steve Moal and his two sons, Michael and David. 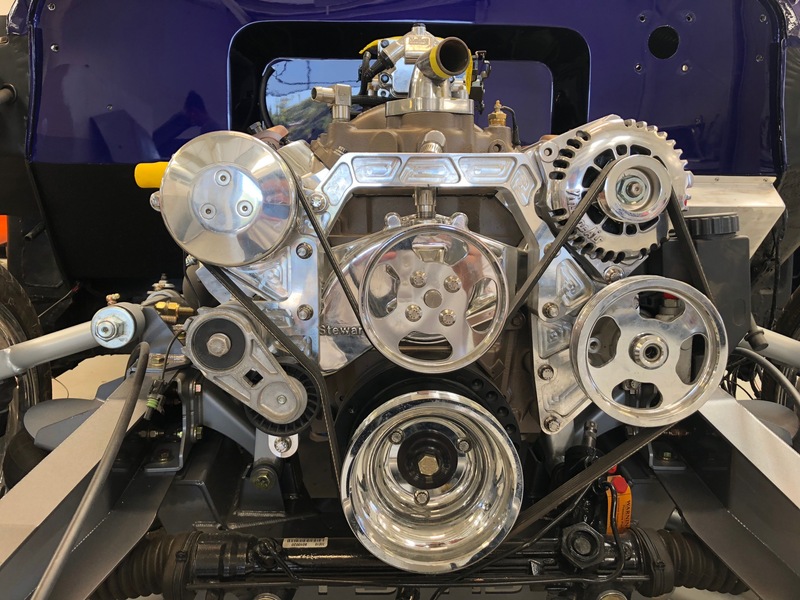 With four generations of Moals creating custom coachcraft vehicles, the family business has continued to grow as they hone their craft in the very same building in which the late William Moal built from the ground up. We rounded out the day with a visit to Roy Brizio Street Rods in South San Francisco. 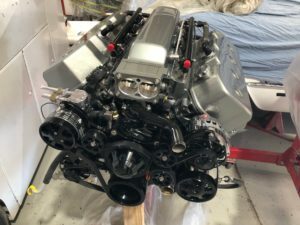 Growing up with a father who was a hot rod enthusiast and well known figure in the local drag racing community, Roy Brizio was no stranger to the hot rod scene and has been a staple within the community well before starting his own shop over 40 years ago. Over the years, Roy has become somewhat notorious as the king of ’32 Fords and it’s more than apparent as you walk through the shop. It’s tough to tell with projects ranging from a bare shell to nearly complete, but if we counted correctly there was somewhere in the neighborhood of 10 ’32s throughout the shop. 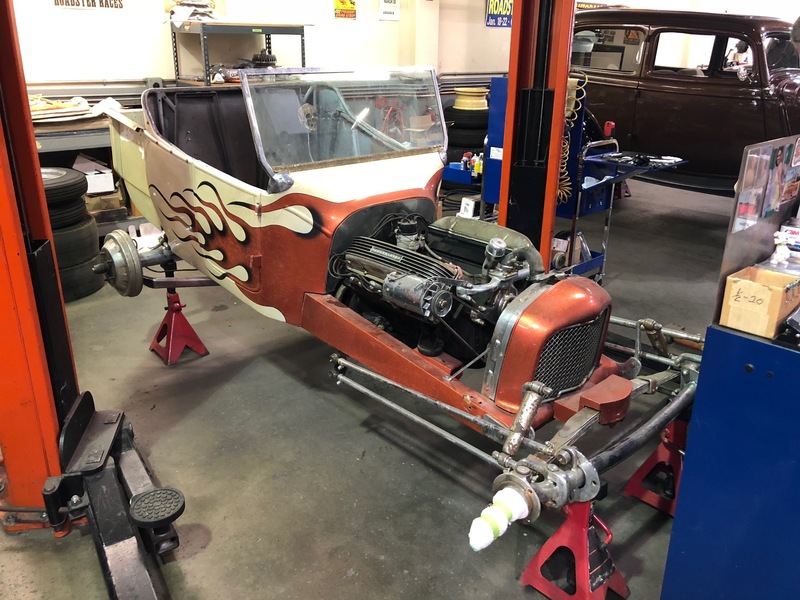 While Roy certainly wouldn’t mind if his shop was only filled with ’32s, there were a number of other incredible projects underway, most notably, the infamous Kookie T-Bucket which kicked off the T-Bucket craze that is without a doubt a piece of hot rod history. With three shops left and San Francisco traffic not in our favor, we had a full day ahead of us! Our first stop of the day was East Bay Muscle Cars and, as the name would suggest, their focus is building high quality muscle cars, mostly in the pro-touring realm. Owner Steve Keefer took some time to show us around the shop and the projects they are currently working on, including an incredible SEMA build that you’ll just have to wait to see. 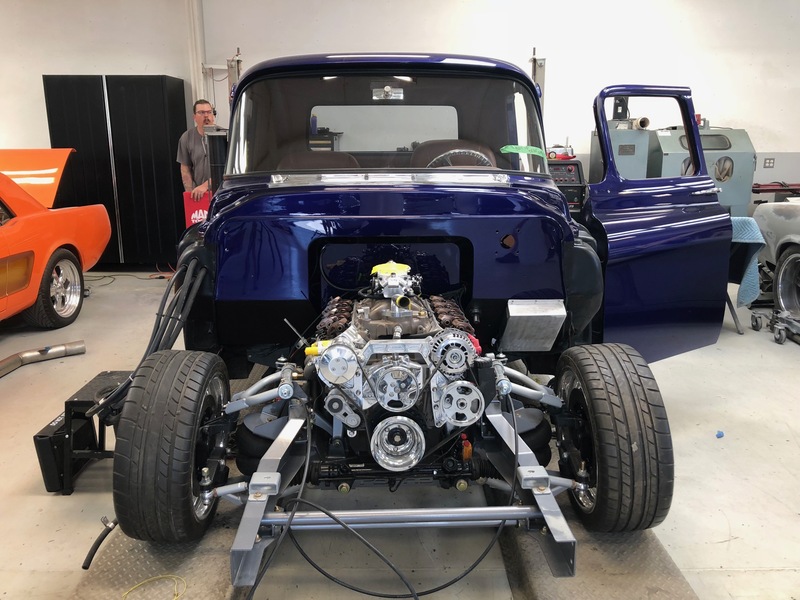 At the center of the shop, was a gorgeous dark blue ’67 Chevrolet C10 Stepside demanding our attention. 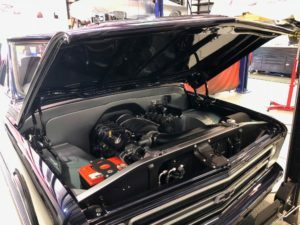 The resto-modded truck featured an LS3 producing 525HP, a Speedtech Performance “Extreme” Chassis, Foregline wheels, and a Vintage Air SureFit System tucked behind the custom dashboard. 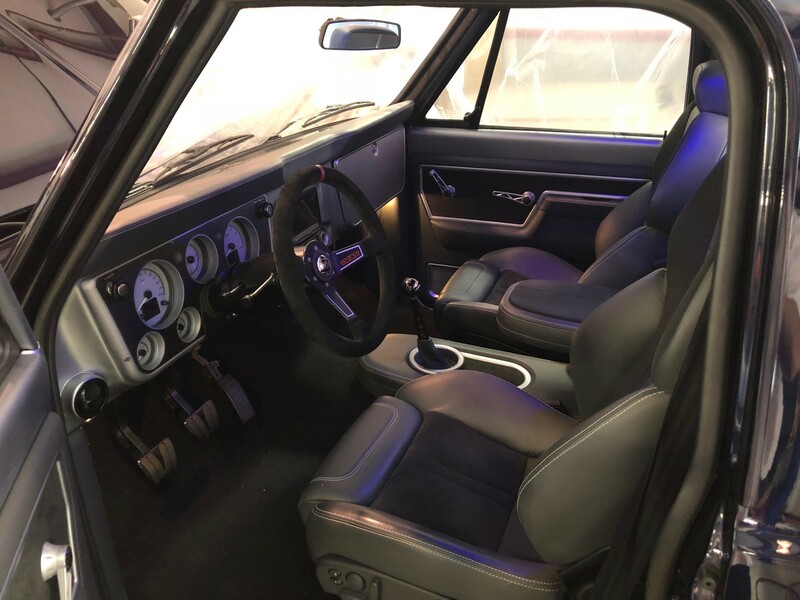 Once we stopped drooling over this stunning C10, Steve showed us the way that EBMC is continuing to progress its builds through the use of 3D printing to develop prototype parts as well as production pieces, which allows it to create a unique piece to meet its specific needs. 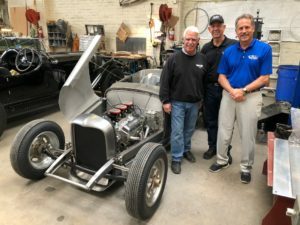 Stop number two of the day led us to Dominator Street Rods which builds race inspired street rods and muscle cars. We were greeted by shop owner Leonard Lopez and shown around the spacious shop which was full of great projects! 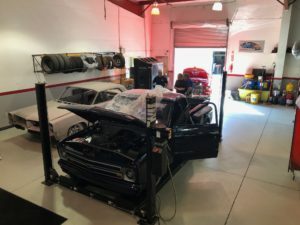 The current shop load consisted of everything from repair work on an all original 50’s Thunderbird which unfortunately met the front end of a FedEx truck all the way to a full off the frame resto-mod. The well-rounded craftsmanship and capabilities of the talented staff was more than evident as we watched them work. 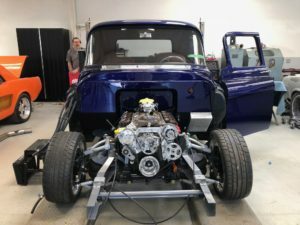 We also had the pleasure of seeing all of the Vintage Air-equipped projects underway, such as this Chevy truck which was stripped down to the cab and built back up to it’s current state. Our third and final stop of the trip was at Campbell Auto Restoration & High Performance Center. 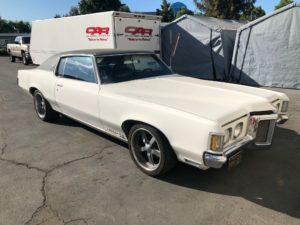 We knew we were in the right place when we arrived to an array of classic muscle cars lined up in the parking lot. 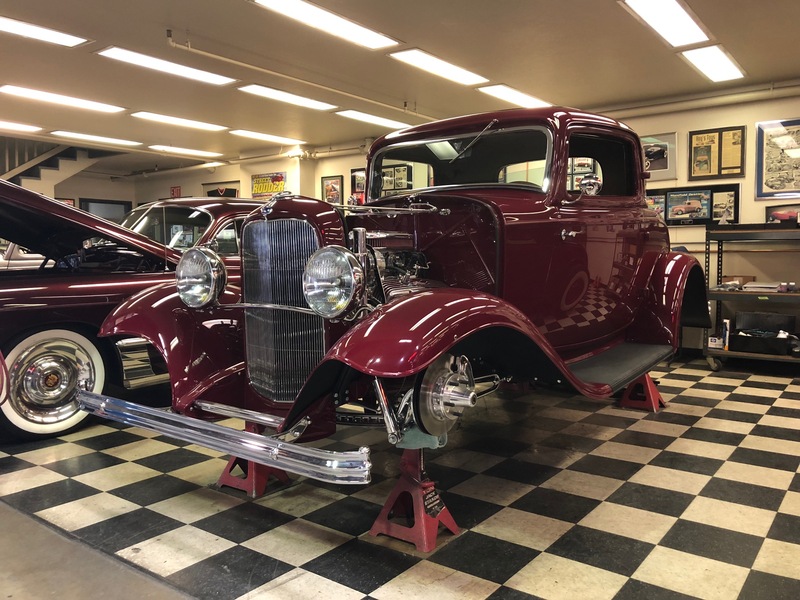 Once inside the shop, we were greeted by an incredibly clean ’32 five-window on the lift for a quick tune-up. 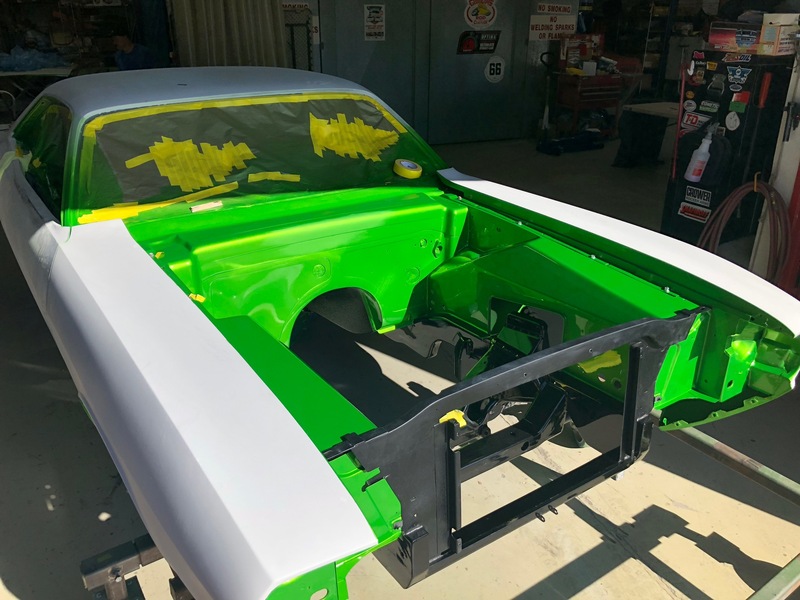 One of the most notable projects in the shop was a ’71 Plymouth CUDA which was stripped down to the bare chassis and being prepped to receive it’s bright green colorway. The best part? 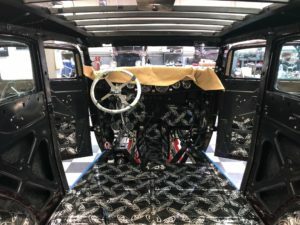 They do all of their own paintwork in house and are even stitching the interior panels for the car’s debut at SEMA next year. Another one of our favorite vehicles at the shop was this Pontiac Grand Prix with an LS swap. It was tastefully modified and sounded fantastic! We would like to extend a huge thank you to each of the shops who took time out of their busy schedules to host and show us around the shops.